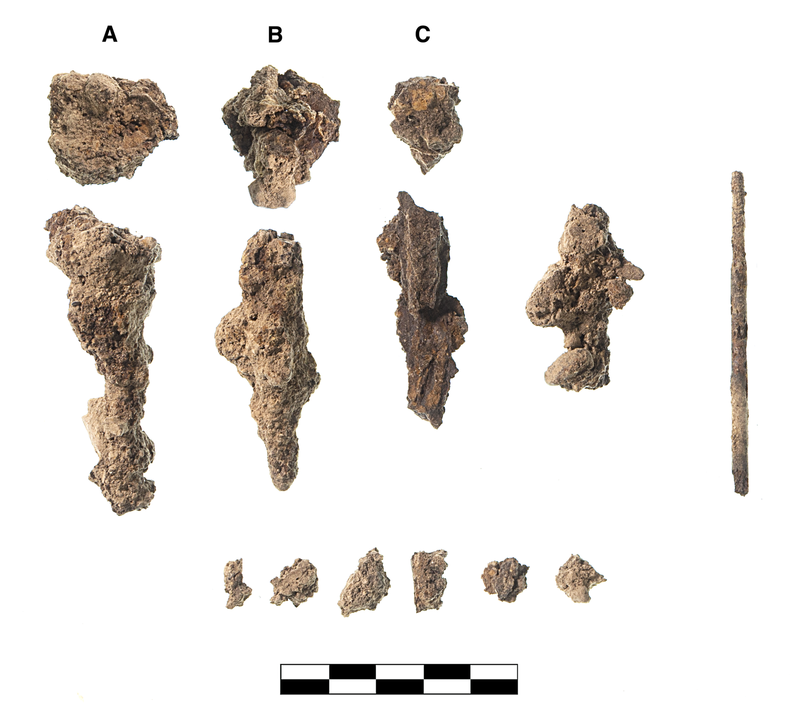 Fragments of three iron nails (a-c); six small, amorphous fragments; and one modern steel nail. Nail heads roughly circular, shanks apparently square in section, tapering towards tip. Heavy corrosion.